Combination of T-shape main runner, T-shape cross runner, AA elements, BB elements and DD elements . Each unit is composed of 600x600mm aluminum alloy strips. 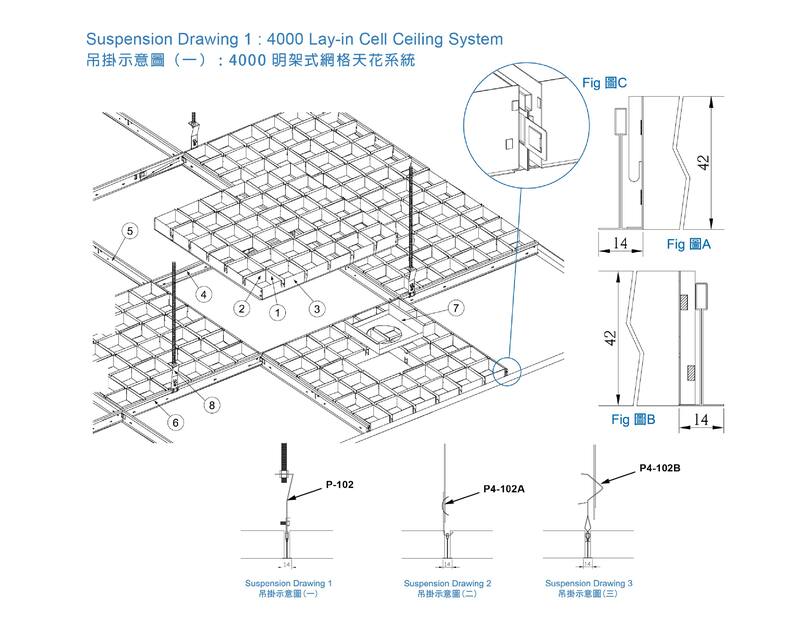 C4000 outlook is similar with the traditional cell ceiling after installation. The suspension frame is composed of T-shape main runners and cross runners. Diagram 1:Runners are hanged by T-runner clamps (P-102) and supported by the G.M.S. screw. Diagram 2:Runners are hanged by elastic slices with G.M.S. wire (P4-102A).